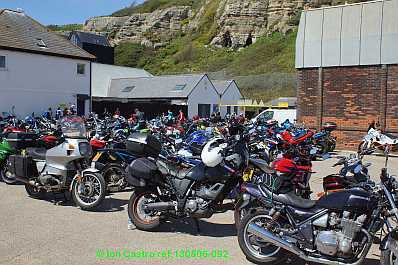 May 6th 2013 another brilliant Early May Bank Holiday in Hastings,. 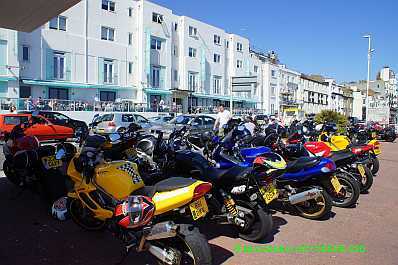 Since I like trikes I've included a few pictures of them! 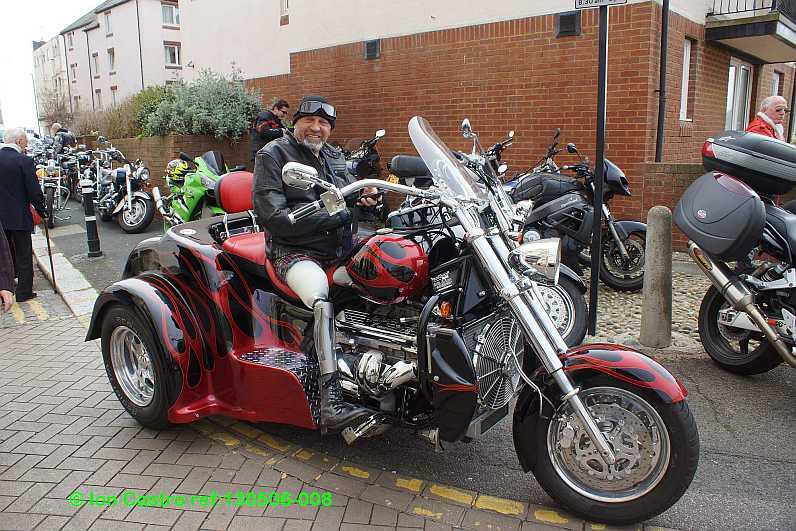 My absolute favourite, obviously professionally built and imprted from the USA was spotted with its owner just off Harold Place. 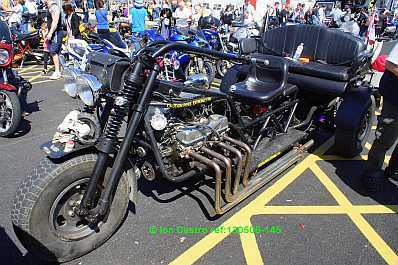 Built by Boss Hoss Cycles Inc it features a ‘Small Block Chevy’, a V8 of 5.7 litres! 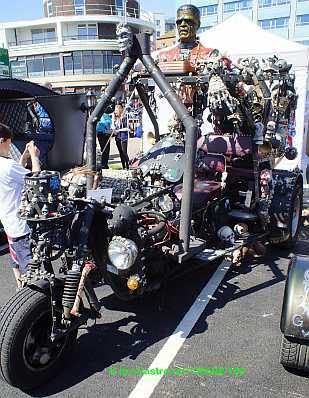 and the owner didn’t seem to be hampered by the fact that he only had one leg and one arm! 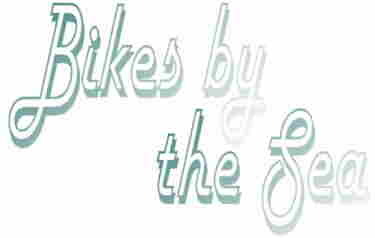 A quick browse of the Boss Hoss website shows similar machines selling for around $55,000 – that’s over £36,000 and don’t forget shipping and import duty to be added on and VAT slapped on the top of that so I won’t be ordering one just yet! 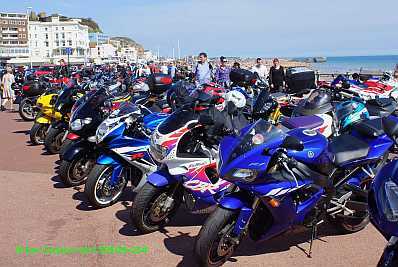 I've been photographing the bikers’ visit since 1999 and posting the pictures here when, at that time, it seemed that this great spectacle was mostly ignored by the media. 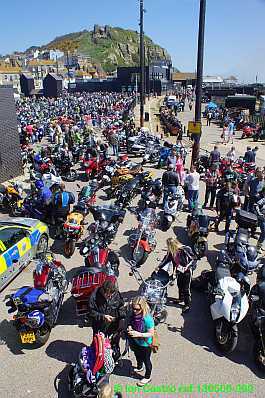 I've seen event become more and more popular with this year, helped by the glorious weather May 6th must have attracted the greatest number yet, with an estimated more than 32,000 bikers visiting our town. 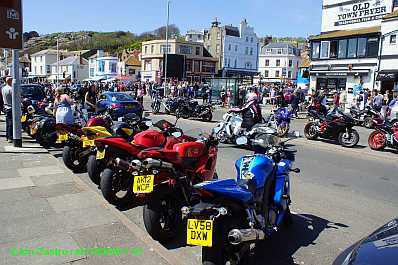 We would normally have brought Hastings’ own trolleybus, Happy Harold to take part in the event and provide a good platform to photograph the bikes and Jack in the Green, but as many of you are aware serious engine repairs are underway and the poor old ‘bus is confined to his depot so I was back down to street level. 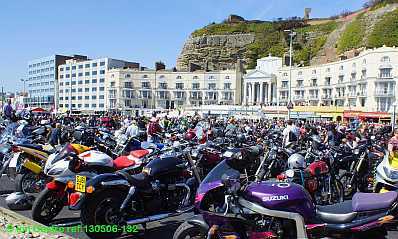 I always gauge numbers by how far either side of the Pelham carpark the bikes extend and as the pictures show the entire length of the seafront from the end at Rock-a-Nore to just west of the pier where there were even bikes parked on top of Bottle Alley, there were dozens of bikes in front of the pier, all round the old White Rock Baths, and more and more heading east where there were rows and rows down the centre of the road near the bikers’ pub, The Carlisle, numbers increased as Pelham Crescent was approached and there must have been thousands in the former Stade Coach Park. 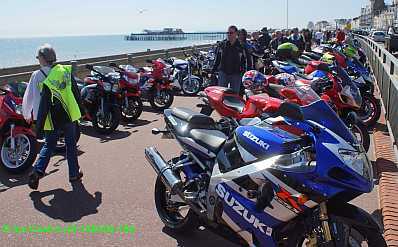 There were bikes amongst the net shops, along the winch hut road and filling up the area around the Southern Water building and continuing along to the end f Rock-a-Nore. 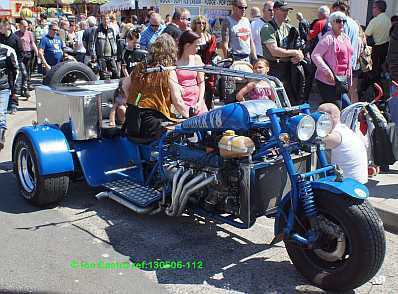 My favourites are trikes, three-wheel car / bike hybrids preferably motor-car engined but often large motorcycle power units mated to car rear axles and I particularly admire these works of art because they are all individually conceived and constructed and I’ve never seen two the same.